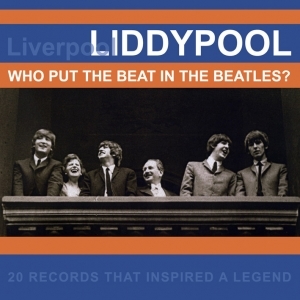 Compiled and with booklet notes by David Bedford, author of the definitive book “Liddypool: Birthplace of The Beatles”, this album highlights the songs that inspired The Beatles - the songs and artists that were the backdrop to their teenage years and that ultimately shaped the music of the most important group in the history of popular music. David Bedford’s succinct and beautifully-observed narrative places each record in its context within The Beatles’ development and rise to fame. The reference points provided by these landmark tracks, some of which are hugely well-known, others more resonant just with aficionados, will be shared by many fans who grew up in the same era, as well as providing an acute insight into the music of The Beatles for anyone coming to their music for the first time. Its slightly oblique view of a formative era of pop and rock makes for a highly entertaining album.